PHUKET: From the deepest oceans, to the highest peaks, from the longest rivers, to the remotest desert plains… and even to the Moon, man continues to explore and discover the secrets of the world and beyond. PHUKET: Koh Lanta is a very quiet and natural destination with its own charm. The island is still largely unspoilt, offering beautiful beaches, green mountain backdrops, and an abundance of wildlife, as well as being located a short distance from some of the most highly-rated diving spots in Thailand. 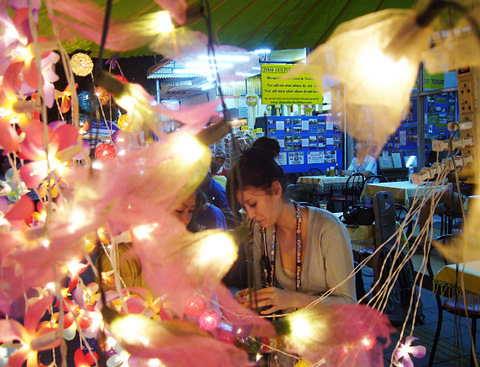 The end of January was a busy time for festivals and fairs in Phuket. We had the lively Chalong Temple Fair, then a food fair at Saphan Hin (the south end of Phuket Town), it was Chinese New Year on the 23rd (welcome all to the Year of the Dragon) and from January 28-30 there was the Phuket Old Town Festival; three great nights of street fair, food stalls, stage performances in the old part of Phuket Town along Thalang Road and in the Queen Sirikit Park next to the TAT office. We headed into town on Saturday 28 and Sunday 29 in the evening. A bit late on Saturday actually as there was a street procession with people dressed up in old style Chinese clothing, and we missed that. 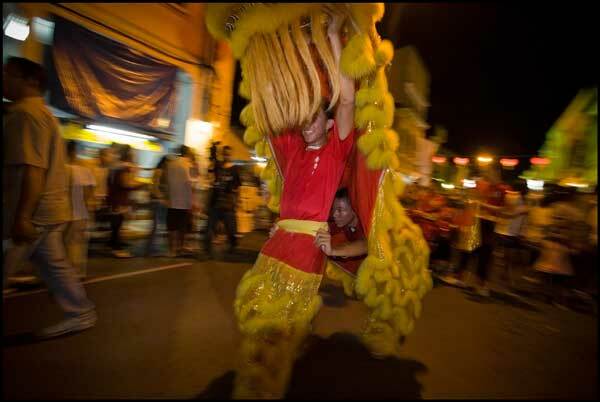 But there were plenty of people dressed up along Thalang Road. Phuket has large Chinese influence, with a lot of Chinese-Thai people due to large-scale immigration during the 19th century when Phuket went through a major tin-mining boom. But there's not exactly a ‘China Town’ in Phuket. Thalang Road is very mixed, there are Muslim shops, old Chinese hardware stores and printers, the old herb shop and a Chinese shrine which is right next door to the Christian Assembly. The old town is a place I always like, but it looks especially good at festival time. 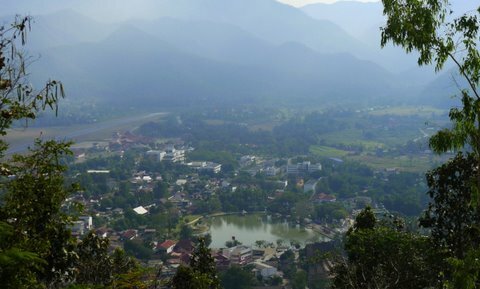 In these articles I keep using the term "real Phuket", which is hard to define, since Phuket has many sides, but in the old section of Phuket Town there is certainly plenty to interest visitors. I'm not going to knock someone for spending two weeks on the beach, but I've been doing this blog for years now, trying to show that Phuket is so much more than beaches. I guess the "real Phuket" is what you make of it. Jamie Monk works at liveaboard dive specialists Sunrise Divers. For more information call: 084 626 4646 or visit: sunrise-divers.com You can read more about Phuket on Jamie's Phuket Blog or follow Jamie on Facebook, Twitter, Instagram or Flickr. First off, I should admit I've never actually been on an elephant ride. There are elephant trekking places all over Phuket. Some are close to the main beaches, while others get a bit more off the beaten track (and are much better in my opinion – after all, I don't want to be trekking with a view of Patong or within earshot of a busy road). 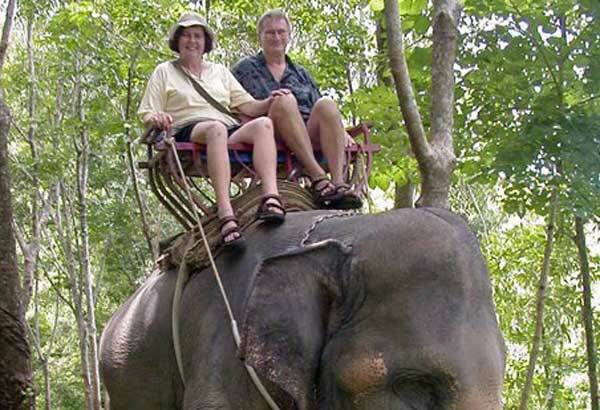 And it's good business for sure – riding an elephant is on many tourists ‘must do’ list. My parents have been over here a number of times, and it was on their second visit in 2004 that they went for an elephant ride. I recently asked mum to write about her experience. Here’s an abbreviated version of ‘My Elephant Experience’, by Paula Monk. “When I was a child, I would look through my books and see pictures of far away, wonderful lands. I was fascinated by them, but in the 1950s, growing up in post war Britain, it didn't seem possible that I would ever see any of those places for myself. “I was filled with wonder at the sights of children riding on elephants, and imagined how it would feel. That little dream lay dormant for almost a lifetime. "The world has moved on during that lifetime and people travel far and wide – ordinary people like me. “Now we have family in Thailand (it was called Siam in my childhood) and on one of our visits I was determined to fulfil my childhood dream. I can't now tell you the name of the place where we went for our elephant ride. "It was in the rural south of the island, in hilly terrain. I feel there couldn't have been a better place – the elephants were well looked after and so were we – my husband and I. The jungle was thick and lush and the views from the hill tops were superb. “Slowly we moved off. I was all grins and happiness! At first the ride seemed fairly smooth, but soon we were traversing the slopes of the jungle through narrow pathways. It was like a fair ground ride – I was thrilled and exited and scared stiff at the same time. “Going down hill it almost felt like we would be lurched forward and roll over the beautiful elephants head, but we hung on tight and enjoyed the thrill. Mostly our elephant strolled slowly along the familiar paths – sometimes she broke into almost a trot, accompanied by gasps and squeals from us. “Our ride lasted for a long time – about an hour we recall. As we realised we were coming to the end of the ride we became aware that we felt physically tired. 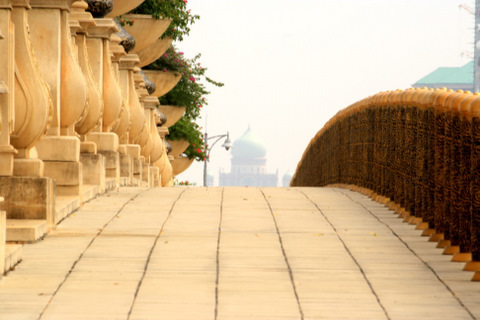 “It is hard work to keep the body stiff and alert and to be holding on tight. But above all, we felt exhilaration that in our 60s we had taken the chance to fulfil a dream.” Jamie Monk works at liveaboard dive specialists Sunrise Divers. For more information call: 084 626 4646 or visit: sunrise-divers.com You can read more about Phuket on Jamie's Phuket Blog or follow Jamie on Facebook, Twitter, Instagram or Flickr. TRAVEL: "Let’s have Christmas somewhere cool,” said someone in the family. “Where?” was the next logical question. 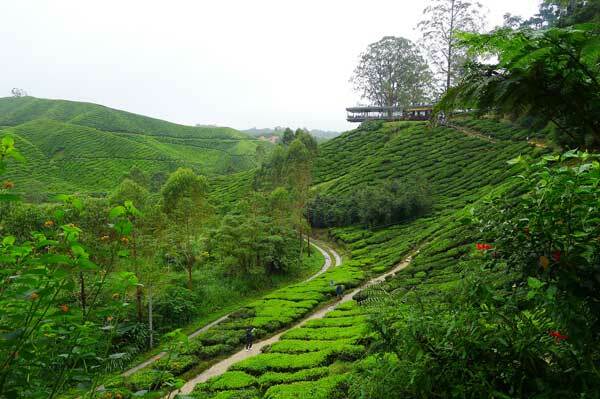 “How about the Cameron Highlands?” said I, reviving pleasant memories of a few cool and picturesque days spent on that elevated valley in the Malaysian mountains many years ago. The late-evening Air Asia flight lifted off from Phuket airport, taking us on a two-hour flight on this rather crazy rushed long-weekend trip to Kuala Lumpur. Even the long walk from our aircraft to Air Asia’s own bustling terminal, which is separate from the KL international one, did not dampen our enthusiasm for this short break in a different country. Nor was the fact that the airport was some 60 kilometres from the city, meaning we still had an hour and a half of late-night bus travel in front of us to reach the business district of the city where we had booked our little hotel for the night. For late Thursday night, KL was alive with diners eating in the many bright street restaurants that wafted delightful aromas into the warm night. We were surprised to come across one cosy street as liberally supplied with ladyboys as Bangla Rd. Our view of the green and pleasant capital the next day was mostly from the windows of the monorail and a suburban train, as we headed for our weekend rental car. But the pace of the city was definitely slower and more relaxed. If only Bangkok were like this. On the pleasant three-hour drive to the highlands, the comfortable black Malaysian-made Proton Saga cruised easily on the freeway north and climbed the mountain on the narrow winding road that was quite a historical engineering feat, cutting through tall dense tropical jungle. As the traffic thickened we began to realise that many, many Malaysian families had also said to themselves that, for the long-weekend holiday, they too would spend Christmas in the Cameron Highlands. Traffic was bumper-to-bumper on the narrow roads. But the little village of Tanah Rata was as I remember it. The row of old colonial-style shops on its main street always reminded of old photos of Darjeeling or Simla where the British colonial rulers and plains people escaped up to cool air and mountain views. One memorable meal was relived at the Mutiara Indian street restaurant that I had visited before: fresh-made roti, mutton and vegetable curries of all sorts and friendly staff warmly welcomed us. The oddly-named multi-storey Hotel de la Ferns, with its faux Tudor facade, gave us a fantastic room, high up. Mist blew across the balcony, which looked along the lush valley of this veritable Eden. A green golf course nestled among trees. Pine trees in the little village park bordered a clear mountain stream, and cosy houses with their white plaster and black timber imitation Tudor architecture hid away in the misty jungle at vantage points on hill tops. England is far away but a valley of it has been lovingly duplicated here. Christmas Eve saw well-to-do Indian, Chinese and Malay families enjoying traditional Christmas dinners offered at all the guesthouses and hotels, complete with turkey and plum pudding, if not much ham – this is, after all a Muslim country. A bright-green valley, patterned by low tea bushes as far as the eye could see provided a picturesque backdrop to the steaming cups of the best that the old Boh Tea Plantation could offer. Tea pickers were “plucking” away in the distance. Strawberries were overflowing from the tunnels of plastic greenhouses in nearby plantations, in this mountain land of plenty. Walking among hills rising to the mist, we were very grateful for our very cool Cameron Christmas. –Norachai Thavisin GETTING THERE: Air Asia flies from Phuket to Kuala Lumpur for less than B2,000 one way. Car rental is B1,500 a day, and petrol in Malaysia is cheaper. WHERE TO STAY: A double room at the Hotel De La Ferns (hoteldelaferns.com.my) cost about B5,000 a night. TRAVEL: With the full moon floating brightly in the cold sky, a large crowd of mainly local people, many in striking colourful hilltribe dresses, crowded around the long buffet table. Recently, on the final day of my parents’ holidays, we took a little drive to the south end of Phuket island, carefully watching the weather as the low season delivered up a day of sunshine and showers. When visiting a more local area, I try to quietly blend in, wander about as unobtrusively as possible (not so simple, since I am 6 foot 3) and get an idea of local life. In the fishing village here in Rawai, there’s just a lot of sitting around; the fishing has all been completed by the early hours of the morning. There’s not just fish for sale. Phuket people boast of having the best pineapples in Thailand. Sweeter and juicier and not as sour as other pineapples. You can buy little bags of fruit from fruit stalls all over Phuket, indeed all over Thailand. Normally you pay B10-20 a bag.Mum and Dad got a bag of pineapple and with the clouds clearing we headed off to Yanui Beach, just a five-minute drive from Rawai. Jamie Monk works at liveaboard dive specialists Sunrise Divers. For more information call: 084 626 4646 or visit: sunrise-divers.com You can read more about Phuket on Jamie's Phuket Blog or follow Jamie on Facebook, Twitter, Instagram or Flickr. If anyone is at all interested in the history of Phuket, and at the same time interested in getting a little off the beaten track, the often-overlooked Phuket Mining Museum is very much worth a look. The location is a bit odd – on a road that many people don’t know about that winds through the hills between Loch Palm Golf Club and the British International School. However, it’s great for children. Located around the large central courtyard are rooms that have been lovingly decorated and made to look like old streets or filled with old pictures and dioramas of mining techniques. Phuket made its fortune through tin mining (as well as rubber plantations and fishing) well before any tourists first arrived. 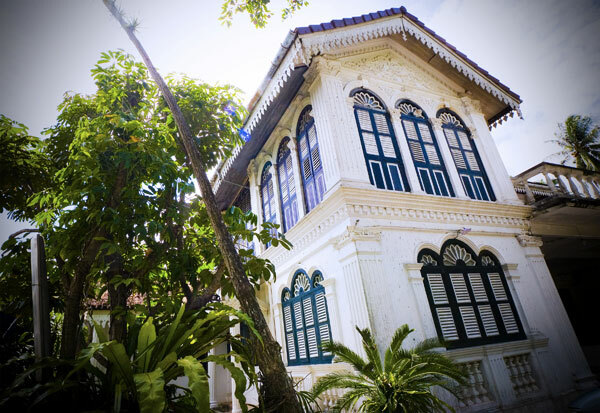 There’s no mining any more, but it was tin that made Phuket, built Phuket Town and changed the face of Phuket, with many immigrants heading here from China. In the first room is a traditional island bus, while the next room is filled with old furniture, and displays of old household items. Then you have the real meat of the museum: a very well presented educational section all about geology, with information presented in both English and Thai.This leads through to the history of mining, with models of stone age people banging rocks together, and more specific information and life size dioramas about local tin mining techniques. From mining, you then move onto tin processing, a room full of technical information and photos, as well as a big bench full of rocks for kids to look at. I was very pleased when my boy agreed that sand, viewed with a magnifying glass, looks like little rocks – I love watching my kids learn. However, my wife’s favourite part of the museum is a mock up of old Phuket, a whole street with shops, a little café, a shrine and much more. It’s very well done, and you can see that the people involved in the museum must take a lot of pride in their work. The artwork is very good, with many walls painted with street scenes that have receding perspectives, so you feel like you could almost just step into the painting and take a walk through old Phuket. My daughter even tried... One of the best things about the museum is the low entry fee, although, if you’re a tourist reading this, it’s not the kind of place a tuk-tuk driver will want to take you (no commissions!). In sum, the museum suits those who want to learn something and see more than just beaches. Jamie Monk works at liveaboard dive specialists Sunrise Divers. For more information call: 084 626 4646 or visit: sunrise-divers.com You can read more about Phuket on Jamie's Phuket Blog or follow Jamie on Facebook, Twitter, Instagram or Flickr. It wasn’t until recent years that low-cost airlines such as Air Asia introduced new routes that connect Phuket to destinations such as Chiang Mai in the north, Udon Thani and Ubon Ratchathani in the northeast, boosting domestic tourism. 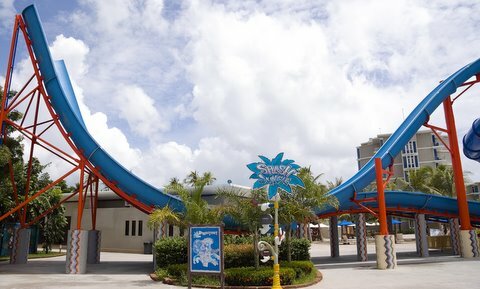 JAMIE'S PHUKET: The Splash Jungle Water Park opened in early 2010. I think everyone agreed that Phuket needed a waterpark. Ideal for tourists, for family fun in the sun. However, not everyone was so enthusiastic when it opened. Most of the tourists in Phuket stay at the main beaches – Patong, Karon and Kata. Splash Jungle opened as part of the West Sands Resort at Mai Khao Beach, just north of Phuket Airport, and that’s 40-45km from the main beaches. Location. And then the price. Full rate is B1,495 for adults and B750 for kids. In other words, for our family of four we’d pay B4,490. It’s not cheap, although they had a “local price” for a while, and also have a membership package which works well for people like us who are likely to be back.So we drove up on a Saturday, the car park was packed with about four minibuses and 10 cars. To be clear – it was not very busy. 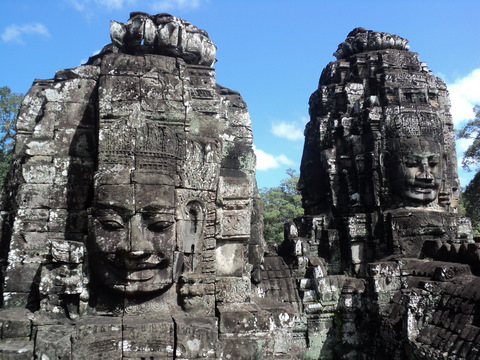 Now that’s my kind of place – a tourist attraction without the tourists! OK, it was low season and the weather was not perfect (though I ended the day with my usual mild sunburn), but I thought there would be more people here. I know it’s not “Thailand” – this place is pure watery fun, and due to the combination of price and location, I had not been there. 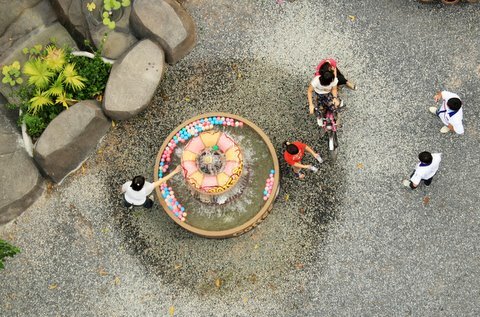 My wife and kids had been once on Thai national Children’s Day – there was a special promotion for the day with kids getting in for free. This time we paid up for membership, so now we are sure to go again! Inside, you have changing rooms with hundreds of lockers, then you cross a bridge over the “lazy river” which runs around the whole complex – you can drift around with or without an inflatable ring (the “river” is shallow enough for even our 6-year-old to stand up in). We drifted around it a few times, passing under bridges and waterfalls. The river would be the least adrenaline-fueled attraction! We found a chair to dump our stuff – the open areas are filled with beach chairs all shaded with umbrellas. Don’t leave valuables on the chair unattended, but towels and clothes and sandals are not likely to go astray. So the idea is to bag a chair, then go and have fun! The kids all started at the kids’ play area, but that area really is for little tiny kids. So we progressed to the slides. There are many different waterslides – 3 of them head down to the same splash pool – the green slide was pretty scary! My son went down countless times, I went twice. The first time I went down I shocked the lifeguard at the bottom by shooting off the end at full speed, 110 kilos of speeding fat panda coming down! 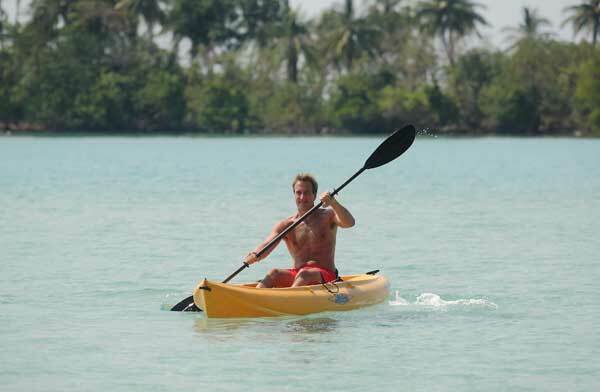 I’m generally not into adrenaline rushes, I prefer nice and easy scuba diving or a gentle bike ride. The waterslide called “Boomerango” seemed to be beyond me. Boomerango works like this: You shoot off the highest point of the slide tower down a steep ramp, shoot up the other side and then off to the splashdown pool. I was worried that someone my size might go too fast and shoot right off the top of the ramp. My kids both went on it – they kind of wandered off without Mum and Dad for a while, they had found some school friends and did the rides with them on rings for two. Next to the Boomerango is the Super Bowl – again you launch from the top of the tower down a tube and then into this huge bowl which you spin around several times and then out and down another tube in the center. Not too scary! We were impressed by the safety at Splash Jungle. There are loads of staff, there are people to help you onto the rides and people in the splashdown pools to catch you. There are lifeguards all over the place, so we weren’t too concerned about the kids going off and doing their own thing. After a few hours we were getting hungry. We decided not to eat at the park restaurants – there are three of them, and they are not that cheap. But I enjoyed the day. Fun for me, and a lot of fun for the kids. Jamie Monk works at liveaboard dive specialists Sunrise Divers. For more information call: 084 626 4646 or visit: sunrise-divers.com You can read more about Phuket on Jamie's Phuket Blog or follow Jamie on Facebook, Twitter, Instagram or Flickr. If you head north from Phuket Town on the main airport road there is a small side road to the right (you’ll ned to do a U-turn)leading to Laem Hin, a fishing community where you find the very popular Laem Hin Seafood restaurant. A new jetty was built at Laem Hin a few years ago to serve Koh Maphrao – Coconut Island – and allow larger boats to dock in the area. In the water just off the island, there are several floating restaurants to choose from, among them Kruvit, Bang Mud and Kru Suwit. 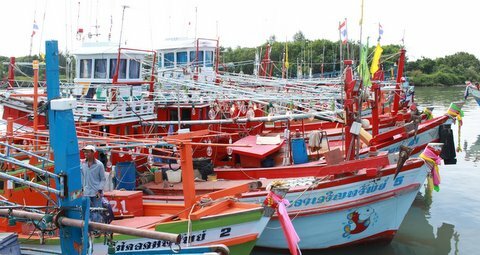 To reach them, you need to get a longtail boat from Laem Hin – boats leave from a wooden jetty with shallow muddy water all around, and longtails jammed in like sardines in a can. The deal with the boats is that if you spend a certain amount at the restaurant you don’t have to pay the boat. While I don’t know the exact amount, don’t be worried – I think the idea is just to stop people trying to get free rides to drink a coke. On the way out to Koh Maphrao (the ride takes only five minutes) there are fishermen’s huts floating in the water too. Is this the same Phuket you see on the west coast? I think not. Things tend to be more traditional here. We chose to eat at Kruvit restaurant (full name ‘Kruvit Raft’). Even on a grey day, quite a few tables were occupied (all local people, although I did see one farang arrive later with a Thai woman). We were met by a friendly boatman who held the longtail steady so we (especially my mum, who cracked a rib on a longtail last year) could step off easily. Nothing to worry about really; the sea over here is calm as it’s very sheltered. Kruvit has space for a couple of hundred people. We found our table near the fish tanks. Live seafood is kept in large enclosed keep-ponds built into the raft. We ate very well too, but with a restaurant like this, eating is only part of the experience. The boat ride, the view, the fresh air, getting away from the crowds... good food is almost a bonus. The bill was very reasonable (we don’t do expensive). We do eat at Laem Hin Seafood now and then and maybe the food there is better, but hey, you don’t get that floating feeling or the boat ride... Jamie Monk works at liveaboard dive specialists Sunrise Divers. For more information call: 084 626 4646 or visit: sunrise-divers.com You can read more about Phuket on Jamie's Phuket Blog or follow Jamie on Facebook, Twitter, Instagram or Flickr. PHUKET: Phuket Town is full of gems. Much as I love looking at beaches and sea views, over the years it’s the culture and history of Phuket which has fascinated me more. TRAVEL: “I know why you don’t have a boyfriend,” the 12-year-old souvenir seller tells me as she follows me down the road. 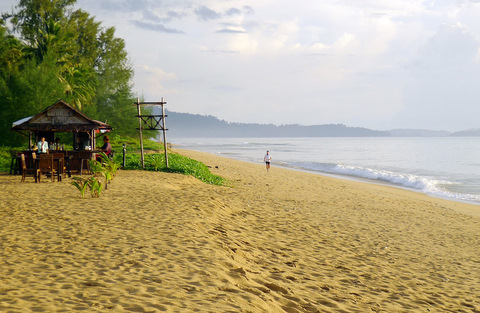 Despite its Thai name meaning ‘active’, Khuk Khack Beach is far from it. The long white stretch of sand, on the Phang Nga coast just north of Khao Lak, stretches out into the sea-spray haze on either side as far as the eye can see. It’s early on a blue morning. A solitary visitor jogs along the edge of the lapping waves from the calm sea. He is not in too much of a hurry either. On the tourist map, the beach is dotted with resorts, the dots all bunching up towards the south of the beach, although few can be seen when you are on the sand. Certainly at this northern end, there are only Adamania Beach Resort and, at some distance along the beach from it, JW Marriott Khao Lak Resort. Khao Lak resort managers will tell you that many Thai and foreign tourists, especially from Europe, come to this long beach to escape the crowded western coast of Phuket. But there are hardly any visitors to be seen this morning, and very few during the day, even though the high season has just started. The white sand is, for a good change, almost free from litter. Instead, a small army of hermit crabs scuttle happily along this morning, dragging an assorted selection of mobile homes. Their little eyes on the look out with little feelers sensing the air, always ready to retreat into their shells and shut the front door at the first hint of disturbance. A little grey and white wader bobs along on the wet sand, scooting after its breakfast of scurrying wind crabs. On a branch perches a family of birds. One takes off after an insect, flashing yellow plumage on its body and iridescent blue above its wings. Now and then wrecked holiday bungalows on Khao Lak beaches, overgrown with creeping vegetation, still provide sobering reminder of the tsunami of 2004. The sunny hours are long here – you can catch up on your reading, get tanned or to have a massage in the sea breeze. 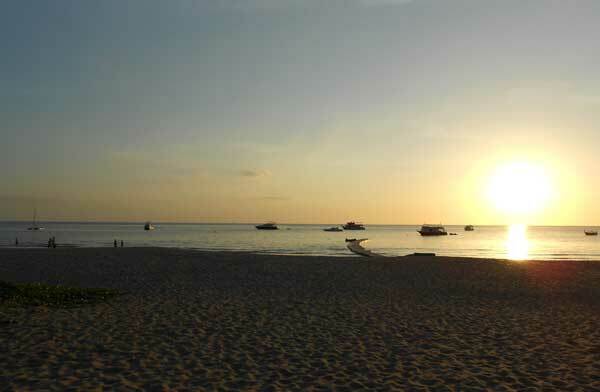 As the sun slowly sets, one looks forward to sipping a cold beer and dining on freshly-cooked prawns, fish and squid. The dark horizon ahead now shows lights of local boats that are netting your seafood meals tomorrow. The moon is becoming full for the Loy Kratong festival on the walk back to your resort. It’s very comforting to anticipate the same care-free day tomorrow... – Norachai Thavisin To get there: Drive north from Phuket Town on the Highway 402 across Sarasin bridge into Phang Nga province. 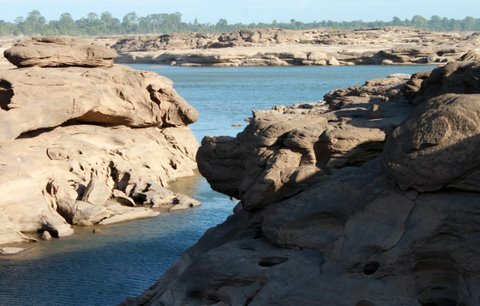 Then follow Highway 4 north along the coast in the direction of Takuapa to Khao Lak town, and further north to Khuk Khack beach on your left, some 110 km from Phuket Town. CHAING MAI: By comparison to the pressing crowds, oppressive heat and manic feel of Bangkok’s shopping mecca of Jatujak, Chiang Mai’s open-air Sunday market is an easy stroll in the park.